W806 Smart 3D TV Series – Dressed in a piano-black bezel, this series includes two different sizes, 48 inches and 55 inches. Both are LED units, offering 120Hz refresh rates for 3D content, built-in Wi-Fi, and IPTV connectivity. Both also feature 1080p HD and include two pairs of 3D glasses. 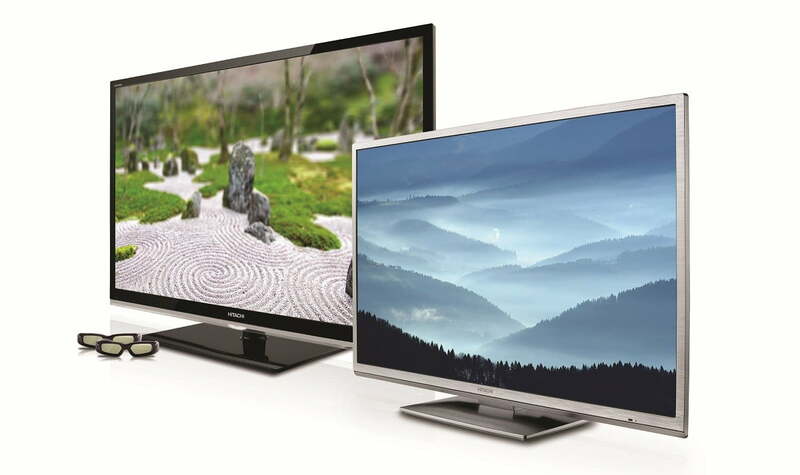 S606 Series – This series comes in three different sizes, 42-inch, 46-inch, and 55-inch. All sizes are LED models, with 120Hz refresh rates and full 1080p HD. They all sport a platinum finish. Most interestingly, they offer full Mobile High-Definition Link (MHL) HDMI ports, which can deliver power to devices in addition to receiving signal. That makes the S606 one of the first “Roku-Ready” TVs, making it easy to add advanced streaming capabilities with the purchase of Roku’s $100 Streaming Stick. Value Series – The platinum-finished Value Series consists of the S406, H306 and H316. Each model sports an ultra-thin bezel, surround sound, and Dolby Digital. The S406 sports a 32-inch 720p panel with a 60Hz refresh rates, the H306 has a 29-inch panel with the same specs, and the H316 actually comes in three sizes: 29, 32, and 39 inches. All feature a 60Hz refresh rates, full 1080p HD and a Hitachi’s PicturePerfect video processor. Though their panel specs may be quite pedestrian clean design and MHL capability in the S606 Series may give these Hitachi models bragging rights and a possible home in your living room. Pricing hasn’t yet been announced for the new models, though we expect to see them on store shelves soon for the holiday season.